You must make bookings at least 5 minutes in advance of the time at The Foresters - Hampton Wick. Hampton Wick station 28minutes main line from Waterloo, Clapham junction and Wimbledon. 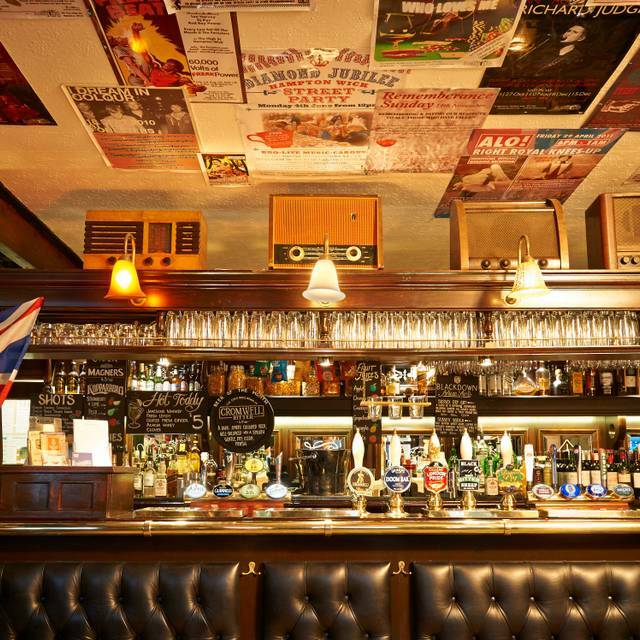 Every Saturday evening we hold 100% vinyl funk, soul nights. The dining element of our business is extremely important to us, here at The Foresters. The emphasis is on the quality of our ingredients, the professional preparation of the food and the exceptionally well-executed dishes. We have a fantastic relationship with the very best local suppliers ensuring that the produce we use is not only of the highest quality but is direct and fresh from the market, free range and from a sustainable source. We have tried to keep our menu simple. 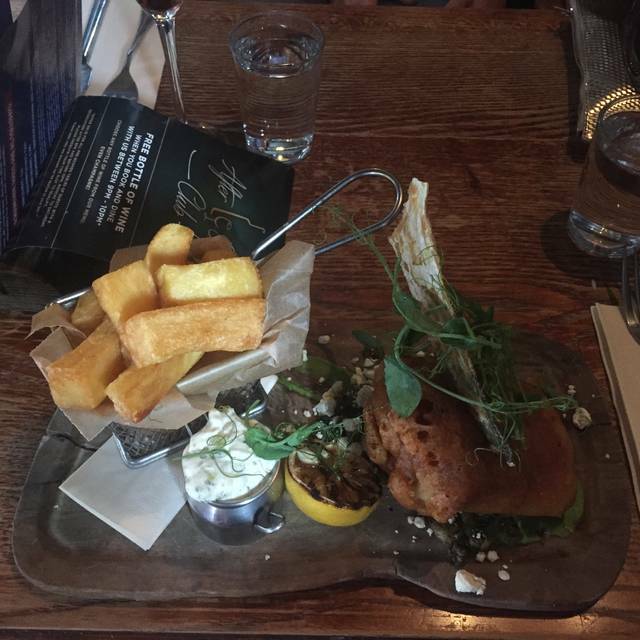 Our main aim is to provide modern British dishes, whilst retaining those pub classics that are tried and tested favourites. 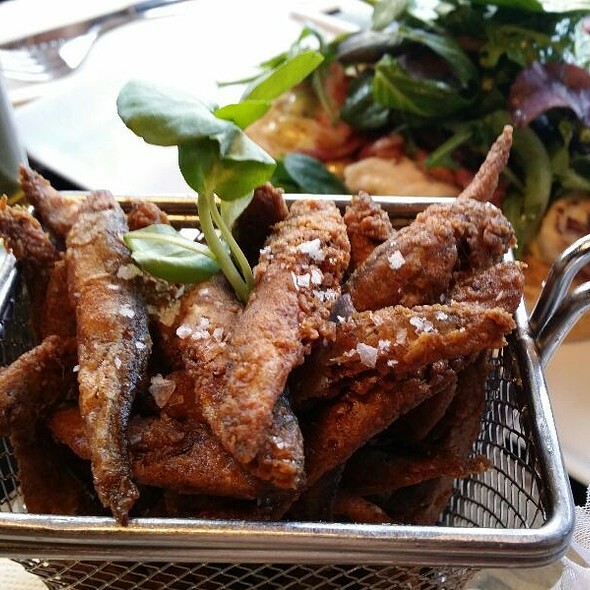 We change our menu every 6 weeks to maintain interest and so that we can ensure that we are providing you with the finest and freshest food possible. This is supported by our seasonal weekly specials, keeping what we offer you interesting and varied. It is with regret but unfortunately we are unable to accept pushchairs or buggies. The waitress (french) found it difficult to understand us and struggled to explain the dishes which were unavailable- which were considerable (strange as it was 7.15pm on Saturday). The service was incredibly slow and I had to go to the bar to order more drinks. The staff all seemed very young and were having fun behind the bar, chatting. I had Catch of the day which was really salty. This is the third time I've been here and it's put me off. I very rarely have such a negative experience. Was nice but lacking in staff which meant service was not as good as usual. Food was very good. The welcome and subsequent service from Jane was warm, helpful and genuine and similarly from her colleague later on. The food and wine was excellent and there were plenty of people to give atmosphere but not so many that it became noisy. A little gem. 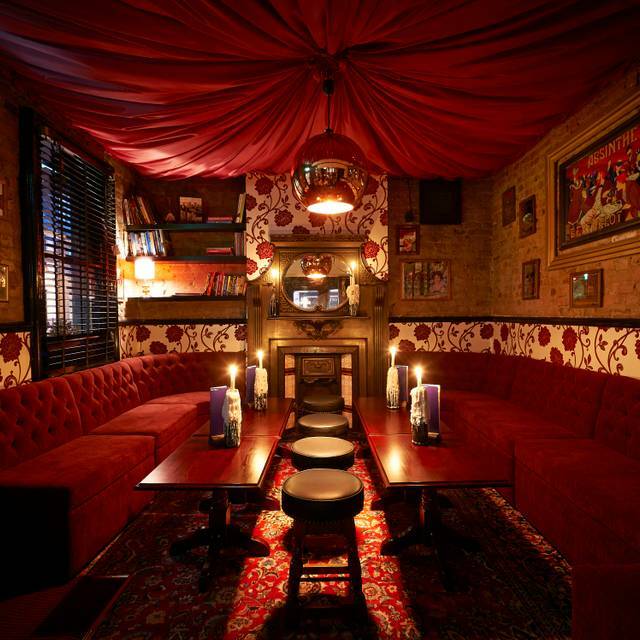 Love a roast lunch here in a tasteful environment with a hint of eccentricity. Friendly, attentive staff and truly delicious dishes. I came here for an intimate birthday dinner for 2. The food was lovely, the service was swift and the atmosphere was relaxing with a lovely open fire. Lamb kofta starter, delicious. Just the right level of spiciness, good quality sausage. Main course was steak, chunky chips, peas, all very good. Garlic sauce extremely garlicky, might go for mushroom next time, as it was slightly overpowering. Argentinian malbec was delicious. My partner had duck which she really enjoyed although commented that it was slightly dry. Very friendly service despite our waitress being obviously very busy. This was my second visit. Previously I had the burger as a bar snack which was superb. Will definitely be going back. Freezing cold, and very disappointing unfortunately. Punters in coats huddled round lukewarm or cold radiators and a couple of gas effect fires, even on a relatively mild night. Staff apologetic and said they had tried to tell owner/manager to no avail. A great shame since this highly rated pub serves excellent (if expensive) food in a really charismatic setting that looks like a lot of thought and care has gone into it. But it was rapidly emptying by 10pm as people nursed their chilblains home. Maybe they should divert some of the profits from the £19 linguine to a central heating engineer? If you must go, either wait till the summer or bring a thick coat and ask for a seat near the Scrooge-esqe artificial fires - perhaps well away from the colourful language emitting from the kitchen, too. Such a shame. Lovely Pub, staff very good, We had a little mishap on the way as we were burgled on our way to the Foresters. Rang ahead to see if we could hold the table which we could, everyone was sympathetic from the bar staff to the waitress. Thank you to all you made my birthday! the food was excellent and cheered me up no end! The Baby high chair provided was inadequate for our 1 year old suggest stocking a few proper ones. lovely food and service, table was a bit too squashed as couldn't move from the table without making people move from the next table. Excellent food with friendly staff. I should say that a roast dinner at the Forrester's is ordinarily top notch. However, Sunday's offering was a bit disappointing unfortunately. The beef was very overcooked (maybe we had the end of a joint), the Yorkshire puddings were too dry and brittle, the roast potatoes a bit average and the cauliflower cheese was very dry and lacking in sauce. All the food was also served a little cold which didn't help. For the price I definitely expect better. One of the desserts we ordered had a huge piece of egg shell in (the size of a finger tip!) but the waiting staff did remove this from the bill. The service was polite and fine but it no one asked us how the food was at any stage. Hopefully we just caught them on a bad day. I have had some outstanding roast dinners at the Forrester's so I'm not ready to give up on them just yet! After waiting an hour with no starters, despite asking waiting staff for an update, we had no food, no information as to how long it should take and no apology - gave up and went somewhere else. If you’re going to offer cocktails, employ staff that know how to make them. Three attempts to mix an ok mojito. Service was very slow but with loads of apologises. When asked how I’d like my burger done, I said rare. It arrived very well done. How hard can it be to get a burger right? + Place is well decorated and looks good. Waiters were nice and good humoured. - Both my partner and I ordered the turkey pie which sounded delish. Both pies were poorly served and terribly salty. Actually, you can't even call them pies as we were served with 3 little pots containing small amounts of meat, veggies and sauce, and then a little cap of puff pastry. Is this a pie? For dessert we ordered a classic sticky toffee pudding. Guess what... It was salty as well much to our dismay! In the end while paying a hefty bill of 55£ (for a pub...) we wrote a complaint to the chef without any comments from the waiter. This is a clear: "Not recommended!" Really like this pub but... while the food is great and the ambience lovely, the service is always very hit and miss. 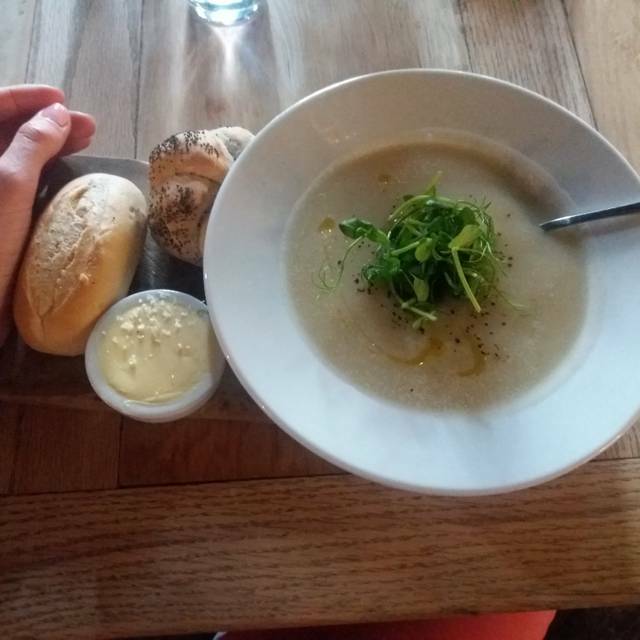 You pay quite a lot more than average for pub food (especially for a Sunday lunch) so you really do expect everything to be top notch. The side dishes are also very small for the price. For example there were around five small florets of cauliflower in our cauliflower cheese, not even enough for a couple of florets each between the three of us. Not sure we’ll return again. 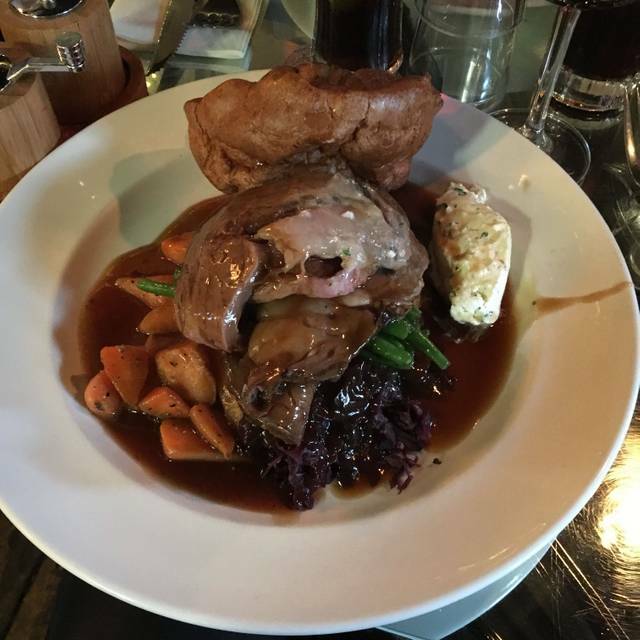 We drove out from north London for Sunday lunch and it was well worth the drive! Fantastic food and great staff!! We’ll be back soon!!! This is the best place for Sunday lunch in the area. Every single time we go, we are impressed. We both had the roast lamb. It simply melts in your mouth. The vegetables were cooked to perfection. And it's a nice gentle (flat) saunter from Teddington to Hampton Wick! 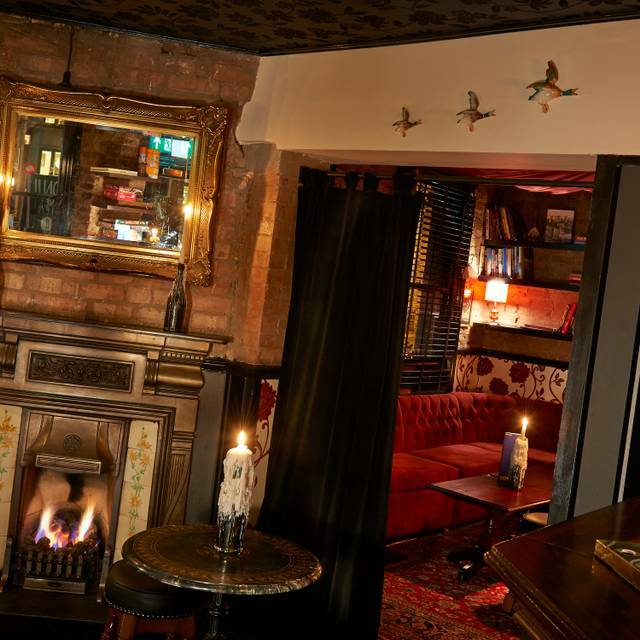 This is a quirky pub/restaurant (with four bedrooms) newly decorated. The food was good and the ambiance interesting. The service was excellent on a busy sunday lunch. A new conscept of boutique pub/restarant/rooms which is a great success. Very pricey for quite average food. Friendly service at least. Last time we ate here it was superb. This time not up to scratch. We were seated in the bar on a tiny table with bar stools and told this was "what happens when you book online". Food was nowhere near as good as last time - fatty lamb, tiny and chewy roast potatoes, overcook parsnips and chewy yorkshire pudding. Still tasty, but not at the expected standard. And finally, we were given the wrong bill - not just an errant item or two, but the completely wrong bill. Poor. We went there for Sunday lunch. The food was lovely as were the staff. A really nice Sunday afternoon experience. Lovely ambience, great friendly and attentive service. 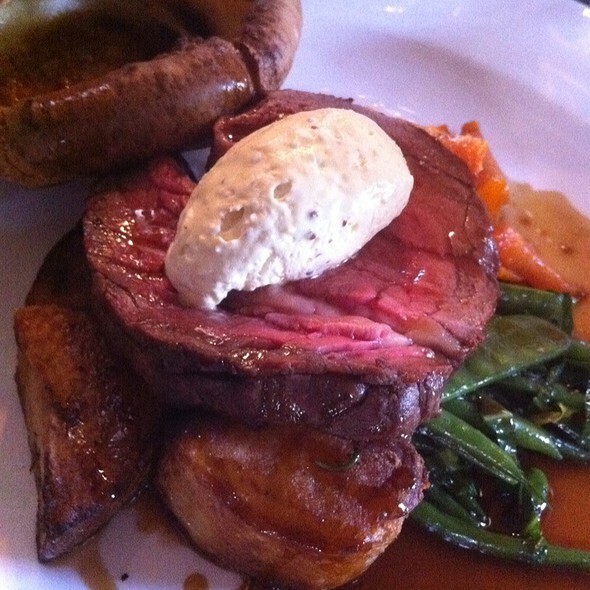 The Foresters is easily our favourite go-to place for Sunday lunch. The whole thing works - beautiful food, great friendly service and the whole feel of the place. it's cosy, stylish, interesting & quirky, with a bit of tradition thrown in. 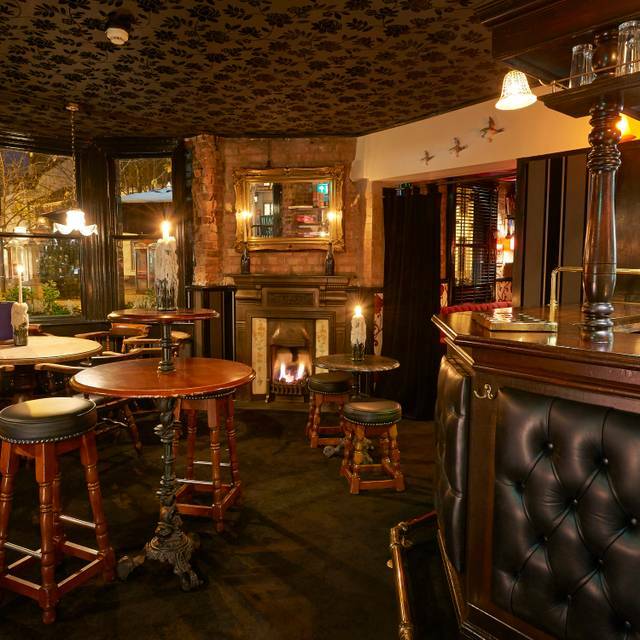 They have an amazing beer selection, nice wine list, a 'gin emporium' & also a really good, comprehensive soft drinks list, which makes a nice change for non-drinkers. Thoroughly recommended. Nice food and service although pricey deserts. What was poor was being given an uncomfortable bench to sit on and a door as a table - it looked like everyone else had proper tables and chairs - and we had booked.